Kristen Renn is professor of Higher, Adult, & Lifelong Education (HALE) in the Department of Educational Administration at Michigan State University. From 2013-2016 she was also Associate Dean of Undergraduate Studies and Director for Student Success Initiatives, providing leadership for MSU's Neighborhood Engagement student success initiative. She teaches courses related to student development, diversity and equity, and higher education foundations in the Student Affairs Administration MA program and the HALE MA and PhD programs. Prior to coming to MSU, she was assistant professor of higher education and qualitative research at Southern Illinois University Carbondale, a policy analyst for the Massachusetts Board of Higher Education, and, for ten years, a dean in the Office of Student Life at Brown University. A Mount Holyoke College alumna, she received her PhD in Higher Education from Boston College. 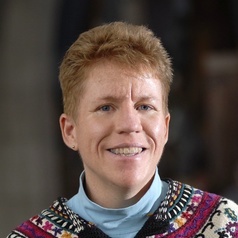 Dr. Renn's research interests include student success and persistence, identity and identity development in higher education; mixed race college students; women in higher education in the US and global contexts; and lesbian, gay, bisexual, and transgender issues in higher education. She received an MSU College of Education Excellence in Teaching Award. A grant from the Spencer Foundation supported her international study of women's postsecondary institutions. She is co-PI of the National Study of LGBTQ Student Success. She is MSU's co-liaison to the University Innovation Alliance and co-PI on several grants related to increasing success for low-income and underrepresented students. Dr. Renn has been Associate Editor for International Research and Scholarship for the Journal of College Student Development, a Senior Scholar of the ACPA-College Student Educators International, and a member of the governing boards of ACPA and the Association for the Study of Higher Education (ASHE).